Single row angular contact ball bearings have higher ultimate speed, which can bear both radial and axial combined loads and pure axial loads. Their axial load capacity increases with the increase of contact angle. The main series are 70, 72, 73, 718, 719 and so on. The matching methods are DB, DT and DF. Double row angular contact ball bearings are corresponding to two paired single row angular contact ball bearings in structure, but occupy less axial space. The bearing can bear radial load and axial load acting on two directions. 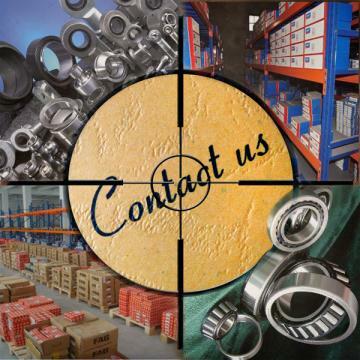 Four-point contact ball bearings are radial single row angular contact ball bearings. The raceway is designed to support the axial load acting on two directions. Compared with double row bearings, this bearing occupies a significant reduction in axial space. The contact angle of four point contact ball bearings is 35 degrees or 45 degrees. The inner ring is a spliced inner ring, which allows a large number of steel balls to be loaded into the bearing, thus giving the bearing a higher load bearing capacity. The bearing is designed separately, that is, the outer ring of the strip ball and cage assembly can be installed separately with the two inner ring half rings, and the outer ring is a combined outer ring, the inner ring is integral structure. The main structures are QJ and QJF.